I've just spent a wonderful weekend in Den Haag (Netherlands) with a load of Greeks, a few guitars, a fiddle, great food and an overdose of songs I couldn't understand ... but enjoyed all the same and resisted the urge to shout out "Opa" at multiple opportunities!!! Where I assisted in the surgical operation that was two grown men deboning a chicken ... and ate in a fantastic little Greek cafe (Nefeli Deli) that provided an afternoon of food and drink that you could only wish for every Saturday and especially in your own city of choice! As I still feel like I have food coming out my ears ... I decided to make something light ... that didn't go too well. When I decided to cook today I didn't feel in one of my most productive moods but in the end I managed to get quite a lot done ... almost over ripe tomatoes are being dried in the dehydrator, a full chicken has been deboned and is roasting in the oven and stock is on the hob ... not bad for an off day ! 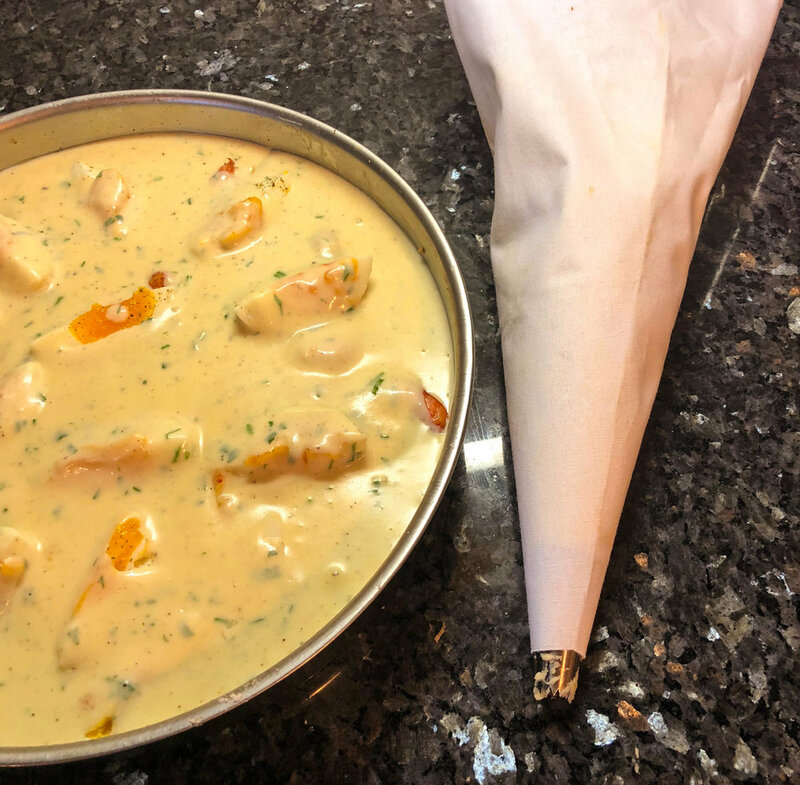 But I digress ... today I felt that reoccurring urge for comfort food and what could be better than fish pie when that feeling hits ! 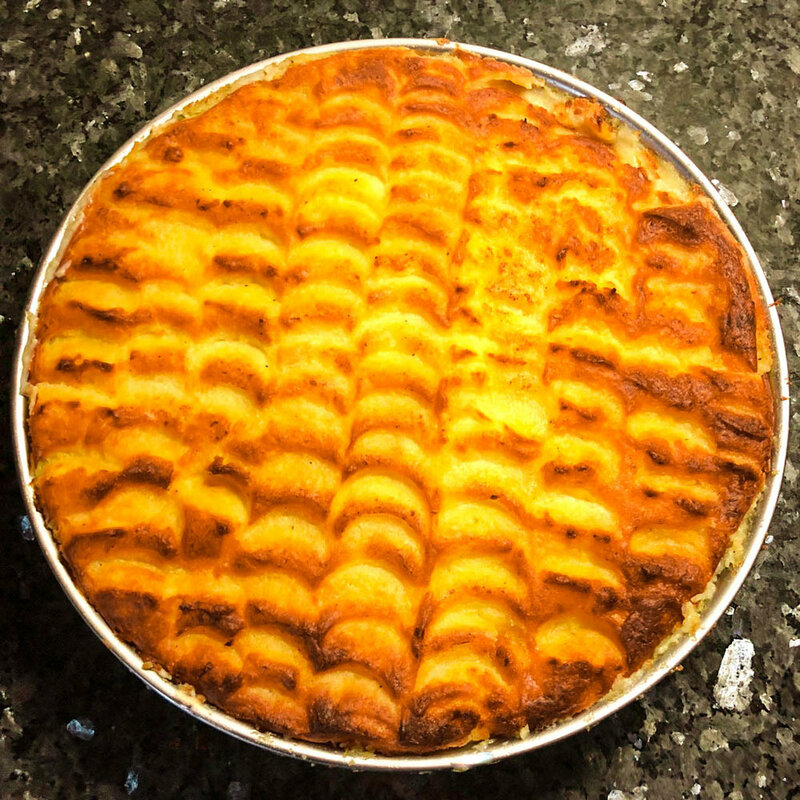 I've made many fish pies over the years but the one that beats them all for me ... Mr. Rick Stein! Stud a couple of the onion slices each with a clove. 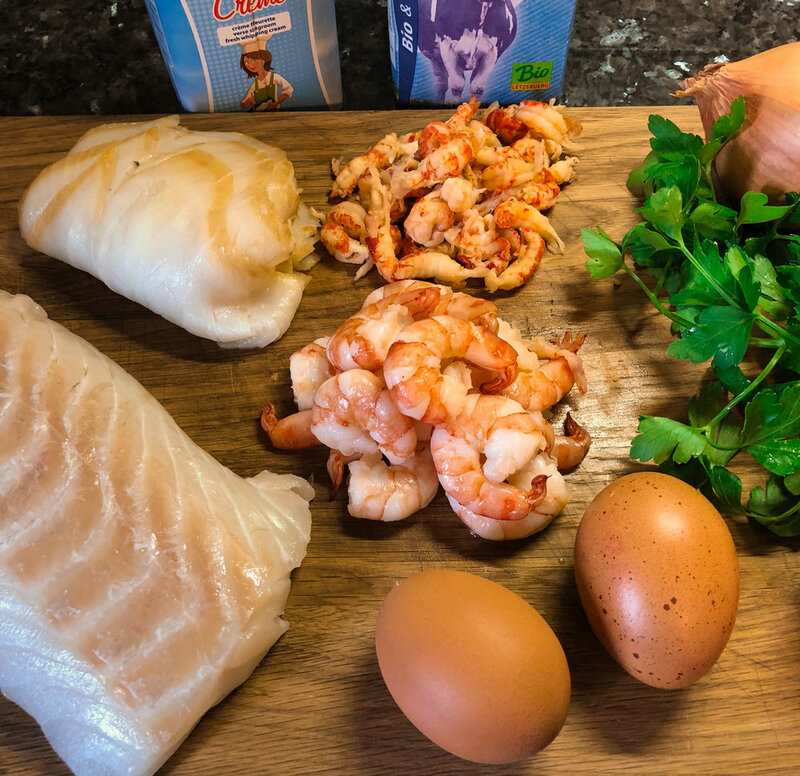 Put the onion slices in a large saucepan with the bay leaf, 450ml of the milk, the cream, cod and smoked cod. Bring just to the boil and simmer for 8 minutes. Lift the fish out on to a plate and strain the cooking liquor into a jug. When the fish is cool enough to handle, break it into large flakes, discarding the skin and bones. Sprinkle it over the base of a shallow ovenproof dish. 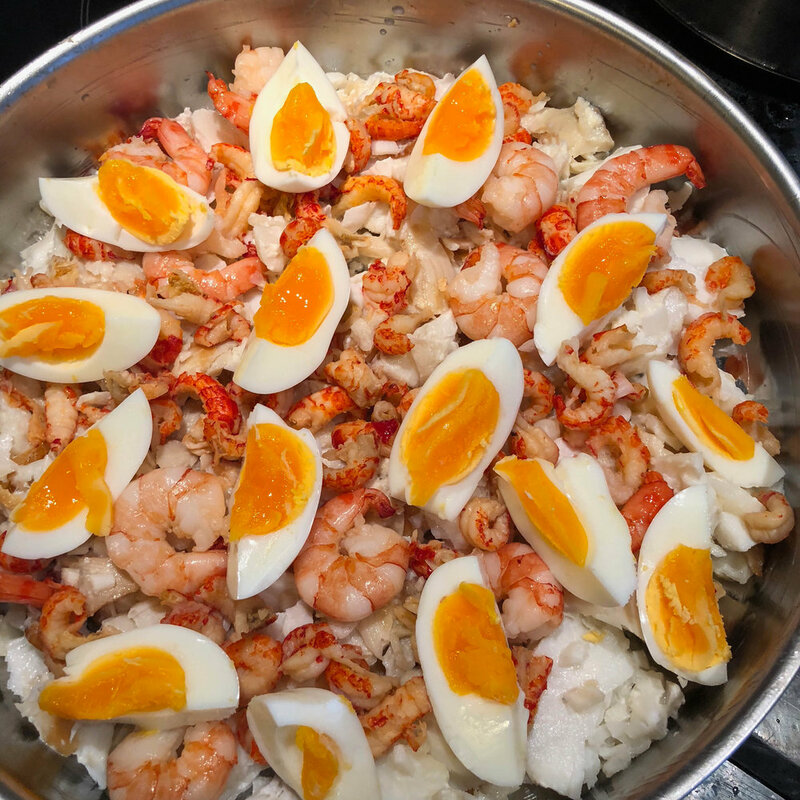 Hard-boil the eggs for just 8 minutes, then drain and rinse in cold water to slow cooking process and leave to cool. Peel and cut them into quarters and arrange on top of the fish. 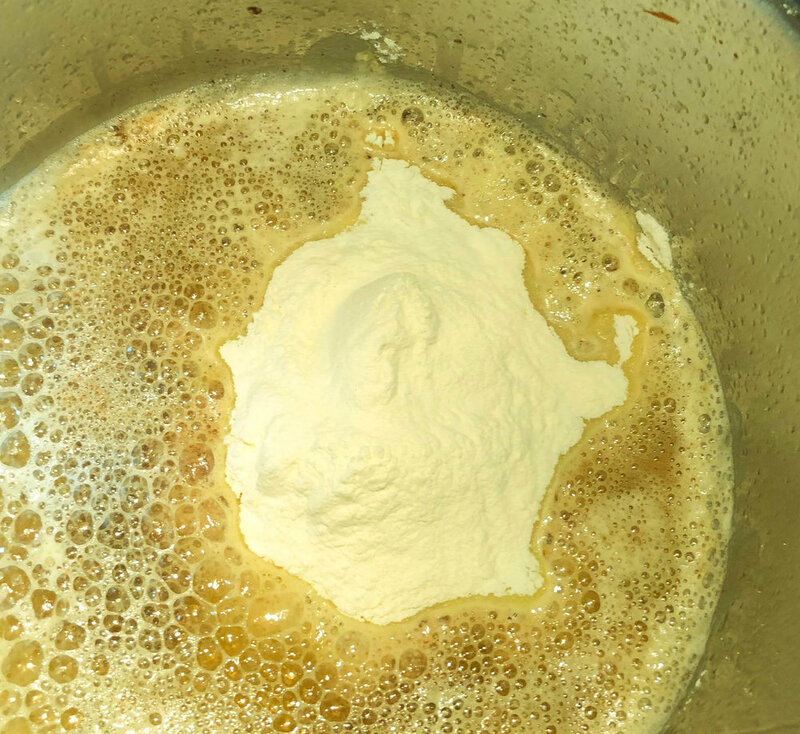 Melt 50g of the butter in a pan, add the flour and cook for a minute. Take the pan off the heat and gradually stir in the reserved cooking liquor. Return it to the heat and bring slowly to the boil, stirring all the time. Leave it to simmer gently for 10 minutes to cook out the flour. Remove from the heat once more, stir in the parsley and season with nutmeg, salt and white pepper. Pour the sauce over the fish and leave to cool. Chill in the fridge for 1 hour. Boil the potatoes for 15-20 minutes. 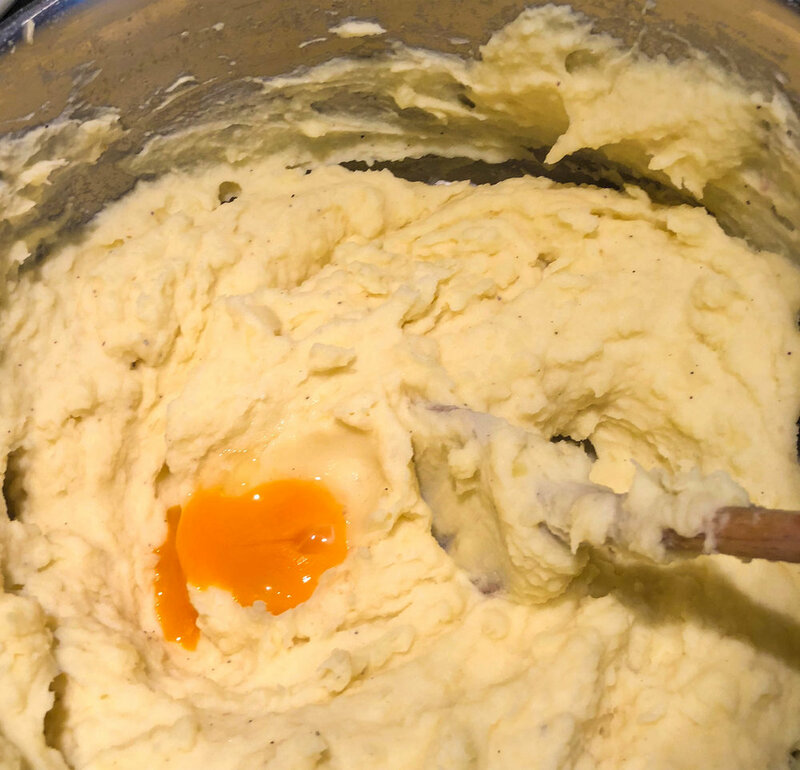 Drain, mash and add the rest of the butter and the egg yolk. Season with salt and freshly ground white pepper. Beat in enough of the remaining milk to form a soft, spreadable mash. Spoon or pipe the potato over the filling and mark the surface with a fork or palette knife. Bake for 35-40 minutes, until piping hot and golden brown.